by John Wesley Powell Author · Wallace Stegner Author of introduction, etc. One of the great works of American exploration literature, this account of a scientific expedition forced to survive famine, attacks, mutiny, and some of the most dangerous rapids known to man remains as fresh and exciting today as it was in 1874. 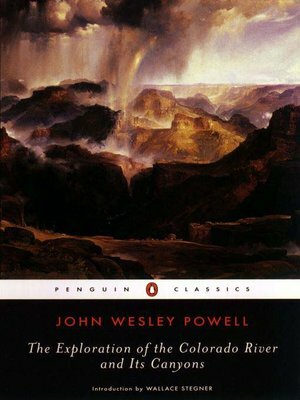 The Exploration of the Colorado River and Its Canyons, recently ranked number four on Adventure magazines list of top 100 classics, is legendary pioneer John Wesley Powells first-person account of his crews unprecedented odyssey along the Green and Colorado Rivers and through the Grand Canyon. A bold foray into the heart of the American Wests final frontier, the expedition was achieved without benefit of modern river-running equipment, supplies, or a firm sense of the regions perilous topography and the attitudes of the native inhabitants towards whites.